Facebook Bots are essentially a set of pre-written responses to answers that your customers may need. Traditionally this would be handled by someone over the phone, or more recently through a chat window on a website. But this requires someone to always be on hand to answer those questions. Facebook Bots overcome this by allowing you to answer those frequently asked questions using pre-scripted responses. Of course it cannot handle the complexity of all issues and only really acts like a front line of support. But we feel it offers a really nice and quick way to find content without having to trawl through numerous searches and websites. What does Drone Buyers Bot Do? 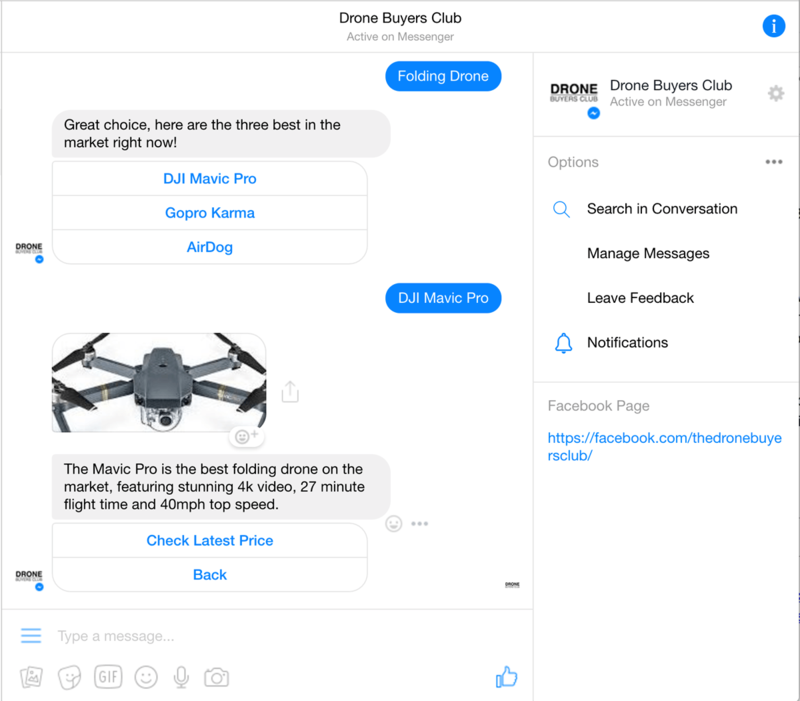 Drone Buyers Bot is a Facebook bot that allows you to search for drones, cameras and articles in the Facebook Messenger App. It provides a hassle-free and simple way to find the information you need quickly, so you have more time to be out flying. 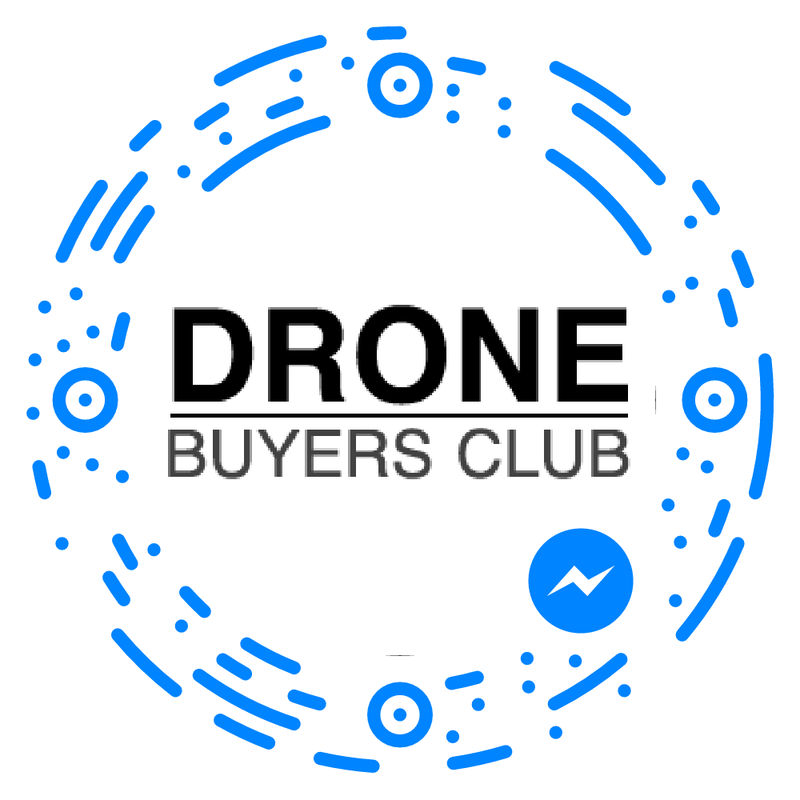 What is the future of Drone Buyers Bot? Where can I try Drone Buyers Bot? 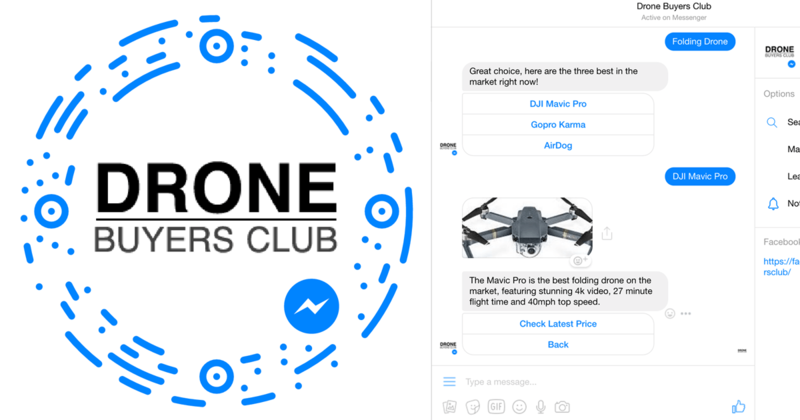 If you would like to give Drone Buyers Bot a try then you can find it through our Facebook Page, through this link directly m.me/thedronebuyersclub or by scanning the code below in your Facebook Messenger app. You can do this by, clicking on the contacts icon at the bottom of the app and then clicking on the ’Scan Messenger Code’ button. You may need to update your version of the app if you cannot see this option.